This week I had the pleasure of spending three days in the woods with Year 7 and Year 8 students. Essential to our stay was the ability to live with a tribe; supporting and challenging each other to tackle wilderness and survival tasks including fire building and campfire cooking, shelter building, team games, tracking and trap making, using woodland tools, wilderness first aid, camouflage and concealment and SOS survival challenge. What I witnessed was that children pay more attention to the qualities we model, such as patience, persistence, resistance and compassion, for example, than the words we actually speak. In the woods, for many the challenges we faced were a first. If we wanted our tribe to be successful than we had to be prepared to work together and to be ok with failure. Failure meant we collaborated, problem solved and tried again on our quest to finish the task. On Bushcraft there is no ‘perfect’. Classrooms should be messy, vibrant places where the unexpected and unpredictable are seamlessly woven into the fabric of each day. Slips, stumbles and blunders should abound, alongside moments of poise and refinement. We need to teach our children that it’s OK to try something hard, something that you’ve never done before; and, more importantly, we need to teach them that it’s OK if you fall flat on your face. At LCS, my aim is to create an ethos where we want every child to be comfortable with making mistakes. If children are afraid of mistakes, they are afraid of trying something new, they are afraid of being creative, of thinking in a different way. Our emphasis on adopting a growth mind-set encourages our children to try a second time, a third, a forth or a fifth; until they figure it out. In Bushcraft this lesson was learnt in our first task to build a fire upon which we would cook our lunch. Whist the flames were extinguished on a number of occasions, the understanding that our tribe needed to complete the task in order to ensure we enjoyed delicious camp fire kebabs, inspired and motivated us to keep going back to the drawing board and not give up. We recognise why some parents may ask for term-time leave for their child. However, it is important that parents carefully consider the implications of taking their child out of school during term time. Please find attached the ‘Request for Absence’ form which is now required to be completed for any term-time absences (one whole school day or longer). On Tuesday 19 September, the under 8 Hockey team played their first match against St.Mary’s. Aleena scored the first goal for Long Close making it 1 nil. Then we got the ball in the goal again but it didn’t count. In the end Long Close won 1 nil. When we got the cake and juice we all felt less tired. Well done Long Close, keep up the hard work! On the 19 September, the U9 Long Close hockey team played against St. Mary’s. St. Mary’s team started off with the ball and attacked straight away shooting very quickly but Paramjot Bhambra saved it and hit it away. Since there were no players in the opponents goal posts, Sivakami Malidi used this opportunity and scored a first goal. After half-time, St. Mary’s almost scored a goal but Nadia Shenawy saved it and dribbled the ball and passed to Sivakami Malladi who scored a second goal. An excellent tackle by Kara Bains who was helped by Maia Saponaro-Dar and Jiya Sangha. Kara Bains released the ball to Sivakami Malladi. She took the ball off the opponents and scored a final goal. At the end of the match the score was 3-0 to Long Close. Well done girls, keep it up! On Wednesday 20 September we played St. Bernard’s. St. Bernard’s took and early lead, and scored 2 nil by half-time. We fought back, but they scored another goal! We started a fresh and with the help of Suhani Jain, Anisha Naidoo and Malvika Kauljalgi I scored a goal. Soon, Suhani Jain scored a goal. One more now until we draw! Aisha Kolley whacked the ball to Husna Mahmood who passed to myself and Malvika Kauljalgi scored! Man of the match was Anisha Naidoo. The result was 3-3. Long Close put up a really good fight especially towards the defending side. Half way through the score was 0-0, but then at the last minute St. Bernard’s scored a goal. Man of the match was Marigha Ahmed. Tuesday 26 September selected students met with Thomas Franks caterers to discuss this terms new menu and to provide informative feedback on lunches. The students reviewed they would like one of the Friday fish fingers took of the menu and a pasta with different sauces to replace this, this was agreed and will begin on week 3 menu. On occasion they have found chicken to be a bit dry, this will be looked into to stop this happening. Some of the students are not that keen on Greek yoghurt , but as discussed there is fresh fruit salad available for those that do not want the Greek yoghurt option. The students also commented they are liking the new menu and apart from fish finger change, they are happy with the rest of the menu. All agreed the new menus have a lot more flavour and choice from the menus last year. The salad bar continues to be a big hit, with the new fresh made flavoured oils and extra seasoning tubs going down very well with everyone. They like the different salad choices they now have and with a few being a big favourite like the sweetcorn salad dip and the hummus, and feta cheese salad. The student’s have agreed to inform Thomas Franks going forward of any concerns or different salads they might like to see. Thomas Franks talked about their suppliers and fresh food policy’s they have set in place. Thomas Franks would like to thank all those involved in the feedback and working with Ms. Tracey and her team to improve their service to you. Put the coconut into a mixing bowl and pour over the condensed milk, mix it well. Leave for 5 mins to stand. 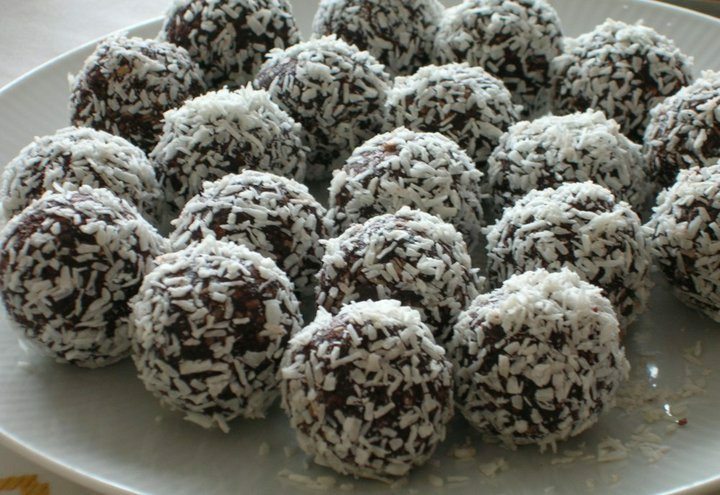 Roll the coconut mixture into balls and place on a tray. Chill in the fridge for approx. 30 mins. Dip the balls into melted chocolate and sprinkle the extra coconut on-top. We are delighted to invite parents to our two Harvest Festival events taking place on Friday 6th October in the School Hall. Please see below for timings of the two events. We support three local Charities with our Harvest Festival – Slough Homeless (SHOC), Slough Foodbank and Age Concern. This year we are not doing individual decorated Harvest boxes, instead the Year 6 pupils and I will be collecting donations to put into large decorated boxes for the three charities to ease distribution. another charity event towards the end of the Autumn Term, where children will get to decorate boxes with Christmas presents for local charities, more details of that to follow. ARRANGEMENTS FOR EYFS HARVEST FESTIVAL – Friday 6th October 2017, 3.00-3.30pm. All pupils from Nursery to Reception will be taking part. If your child doesn’t normally attend Nursery on that day and you would like them to take part, please bring them into the Nursery between 2.30-2.45pm in their uniform. from Years 1-6 will be taking part and it promises to be a lovely event with a wide variety of different songs and poems. Please note for both events space will be limited at these events so please two people maximum to attend per child. We are now only 1 week away from the school disco for Reception to year 6. 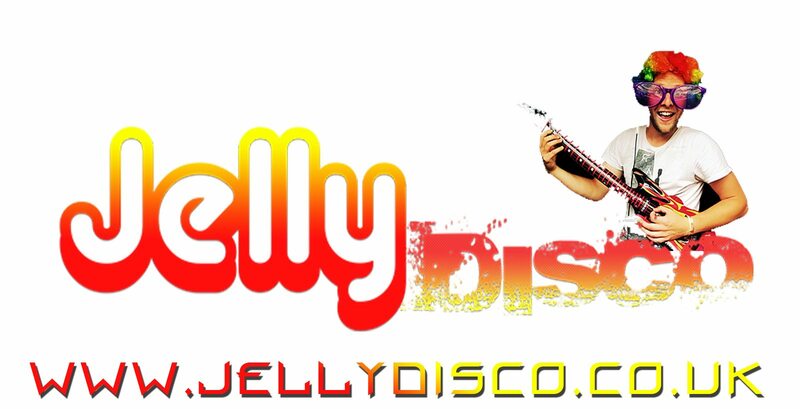 We have a DJ from Jelly Disco coming to keep the children entertained, they are a big hit with the children! You may have seen us at the gates this morning entertaining everyone with our spooky Halloween music! We’ve already had great interest in the disco, there were some parents quick of the mark to get the children signed up. We will also be around next week taking registration and payment for the disco on Monday, Tuesday and Wednesday mornings. As you can imagine our AGM had a packed agenda. Thank you to everyone who came along and welcome to our new committee members and class reps. Look out for a school comms soon with an overview of the meeting and an intro to your new committee members.